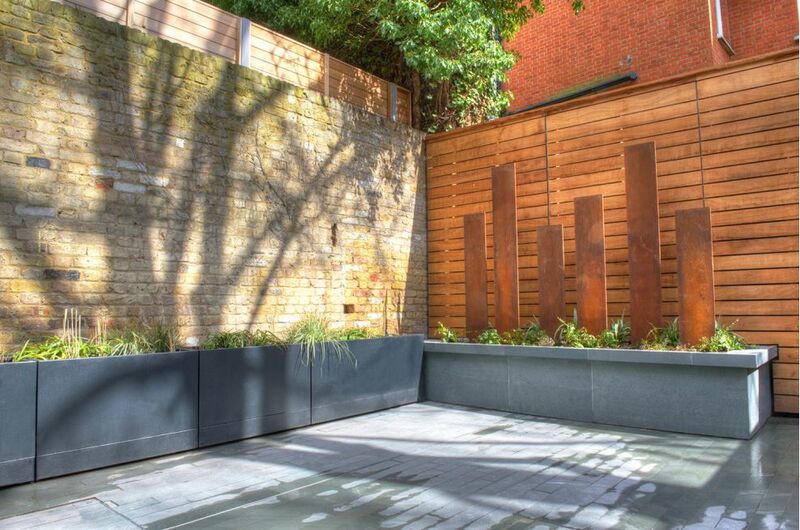 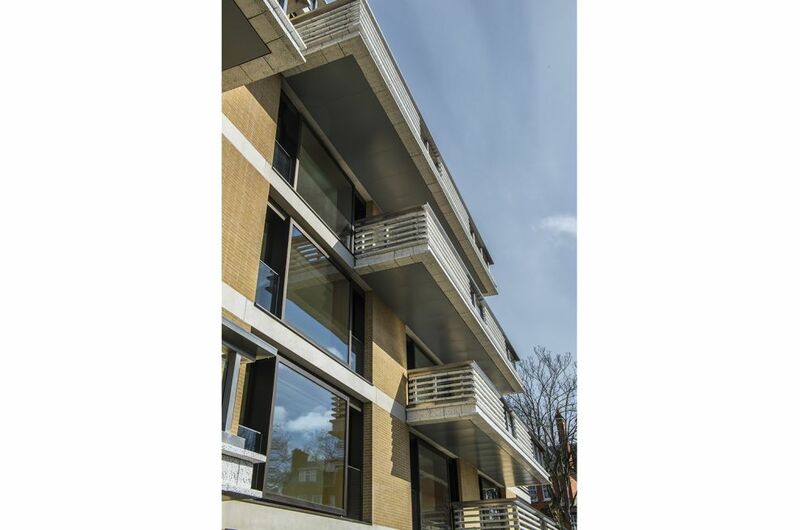 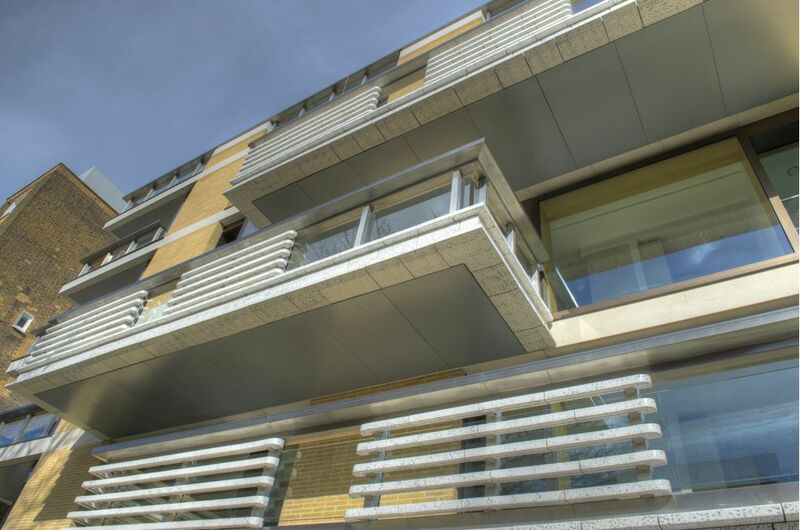 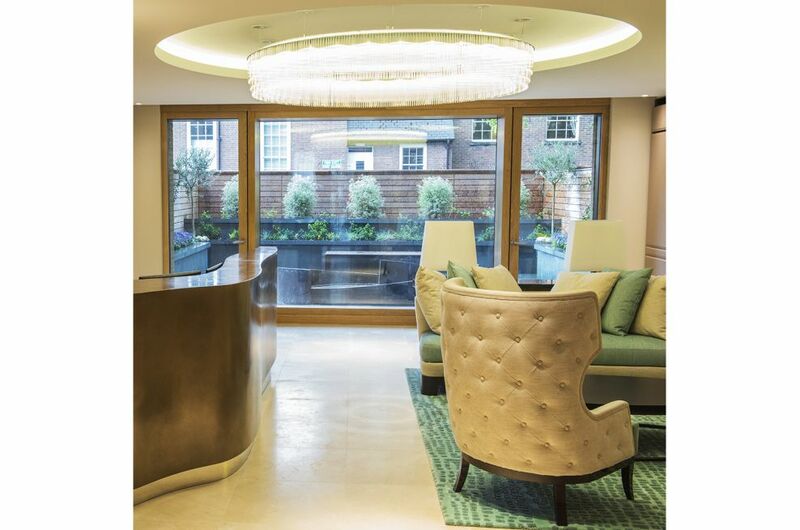 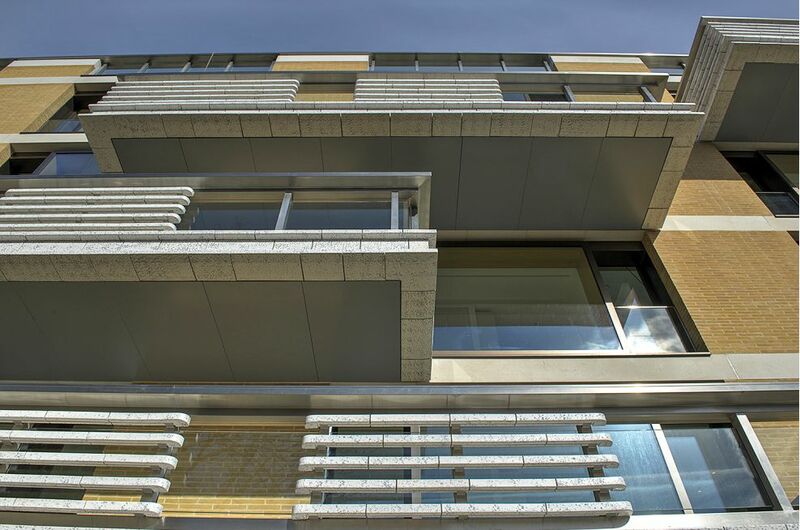 Custom steel planters were supplied to Vicarage Gate House, a striking, new-build residential development in the heart of the Royal Borough of Kensington and Chelsea. 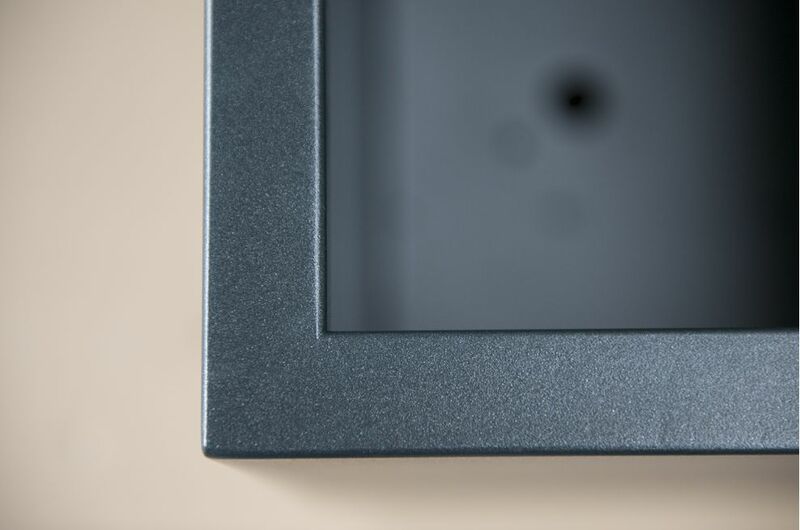 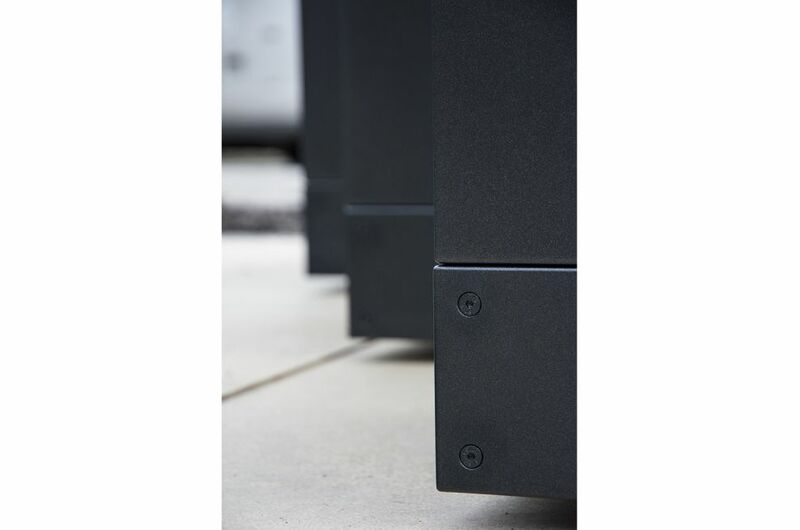 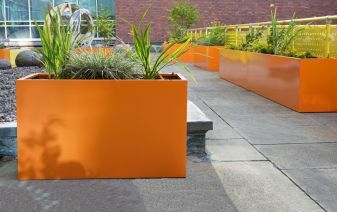 The planters were powder coated with a specialist paint finish: Noir 2200 Sable - D2525 - YW360F, from the Interpon Collection Futura range. 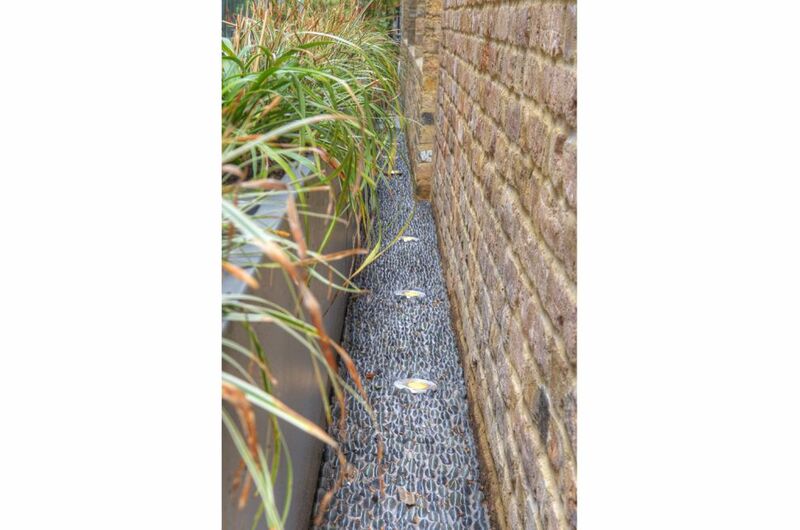 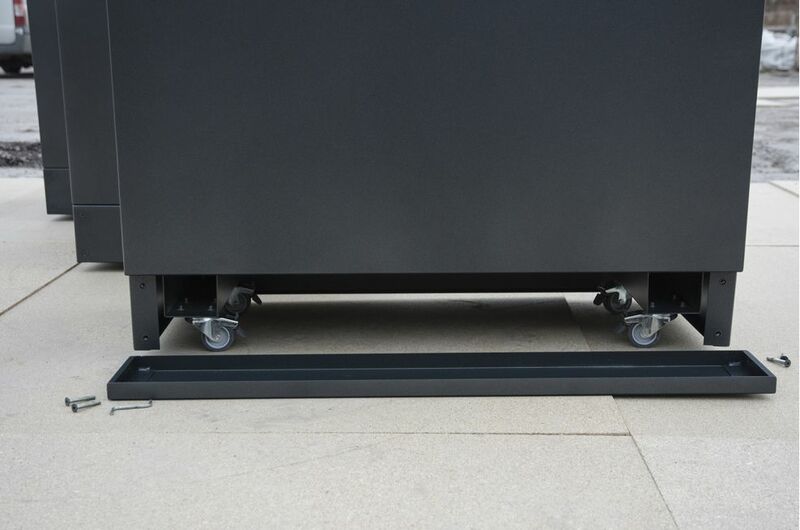 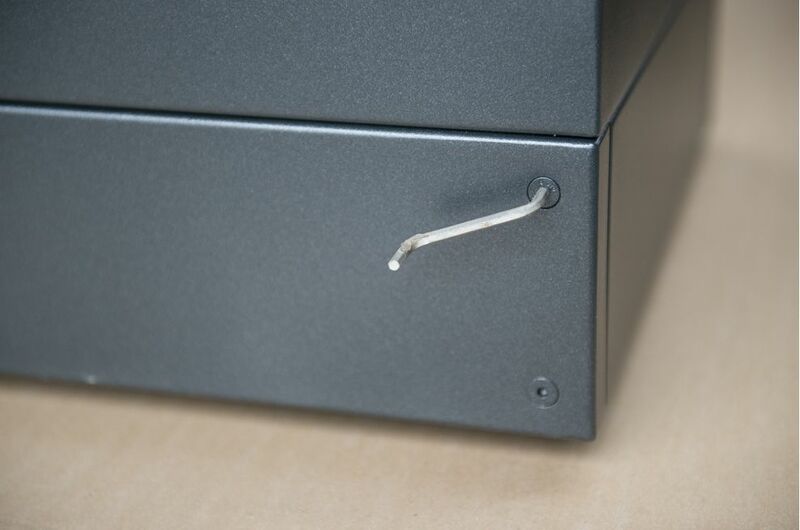 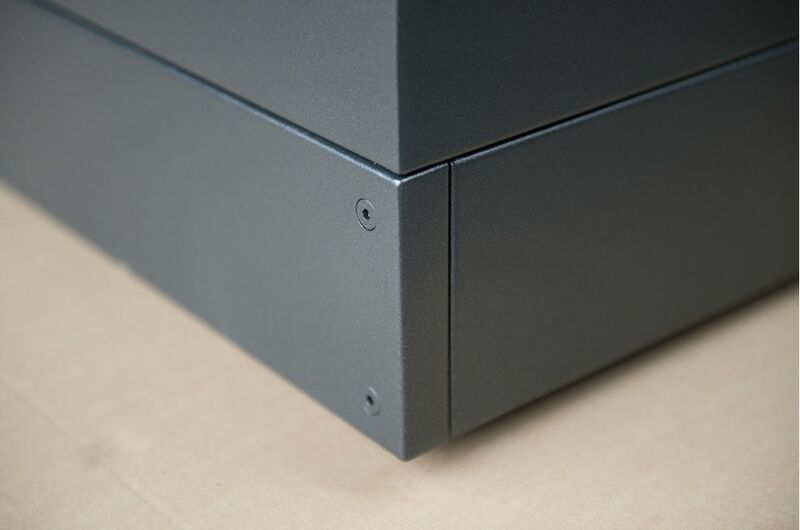 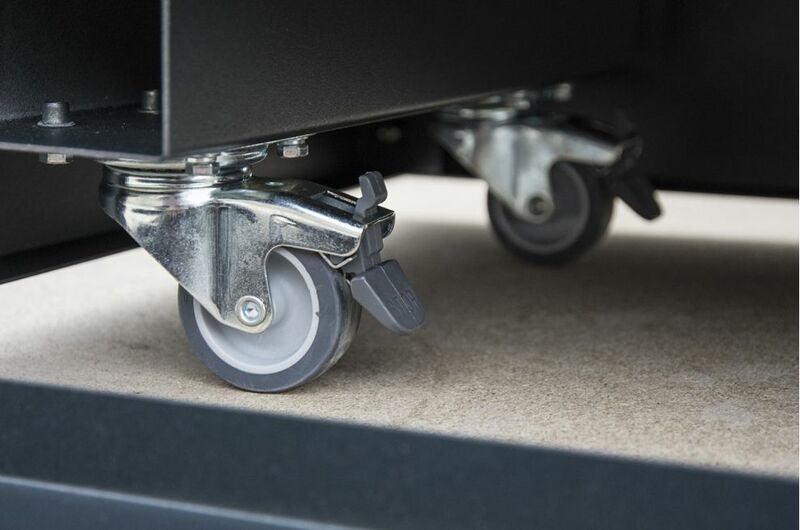 The planters were raised from the ground on braked castors, with the brakes accessible behind removable skirts. 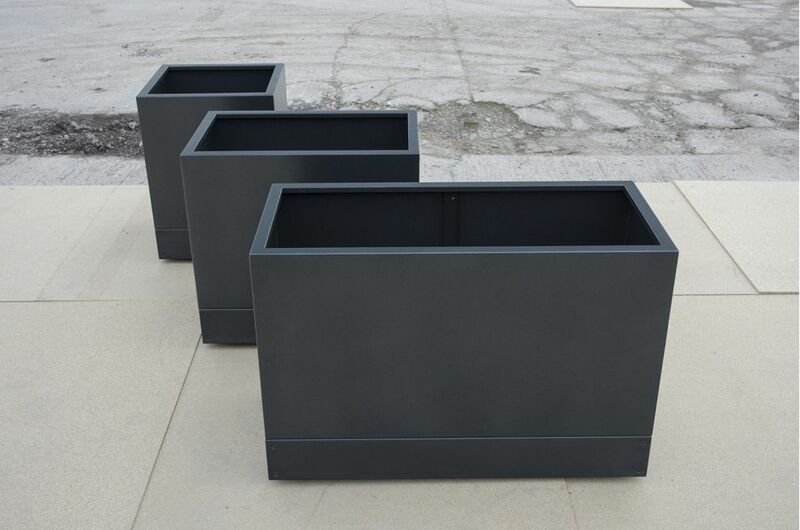 The planters were pre-drilled with specified apertures, to accommodate both a detachable irrigation system to each planter, and specific drainage requirements. 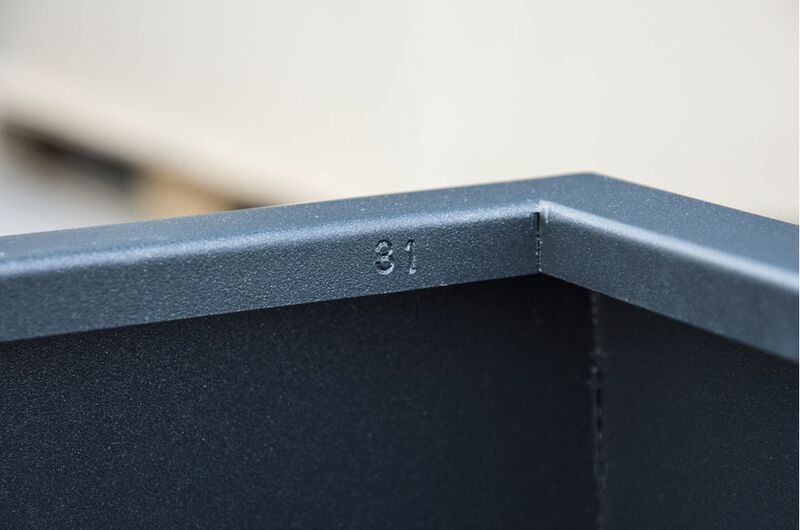 Each planter was punched in a common location inside the downward return of the rim, with a sequential identification number. 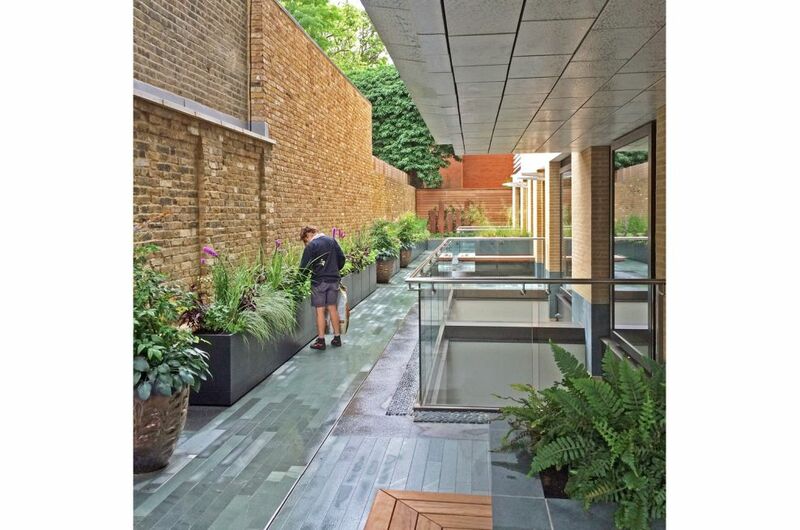 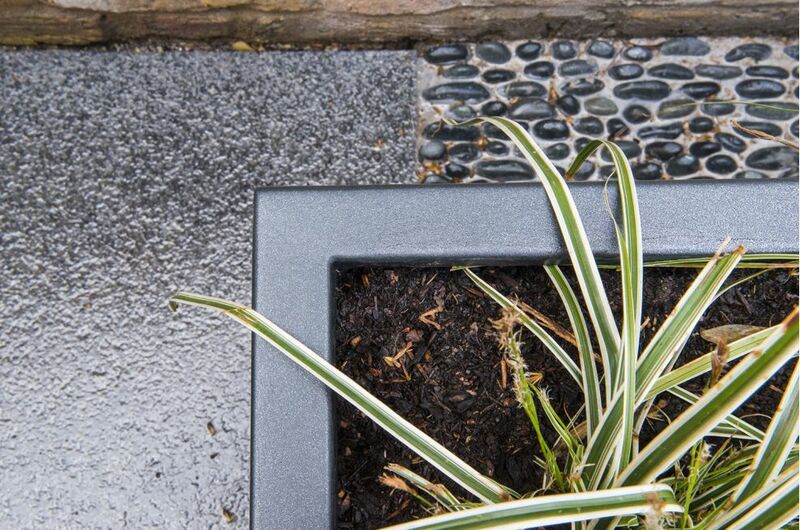 IOTA’s planters were commissioned by leading landscape architects Bowles & Wyer, who were the garden design and build contractors for the development. 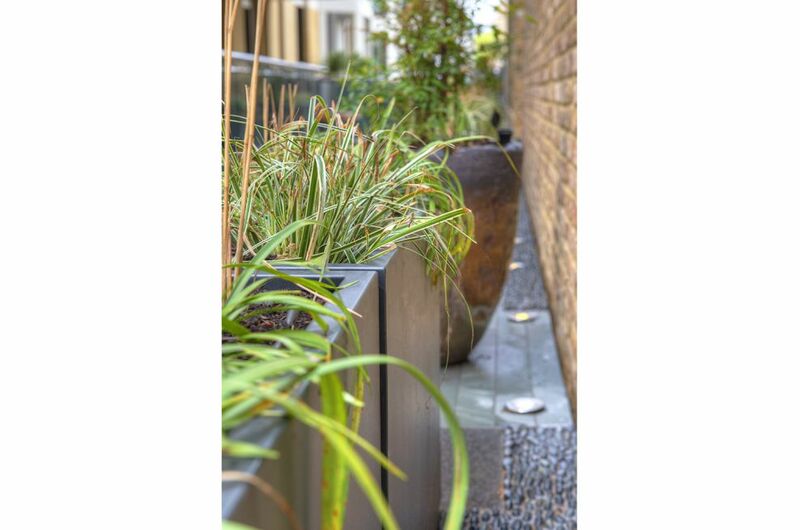 The essential planter concept and design was by Bowles & Wyer, with design detailing by IOTA. 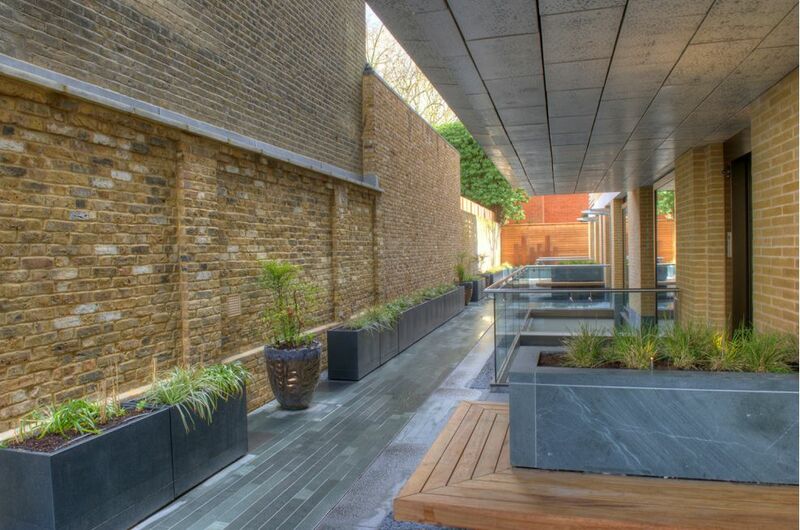 Vicarage Gate House is a development by Northacre, designed by Eric Parry Architects. 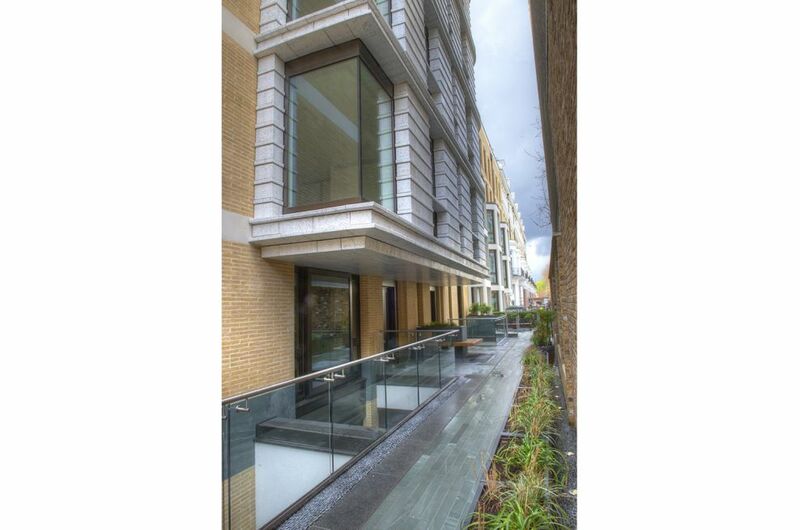 The 42,000 square foot building offers a mix of three, four and five bedroom duplex and lateral apartments, each with their own private south-facing outside space and underground parking.